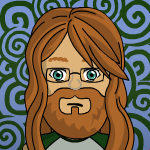 So here is the first round of concept art for the Dwarven Army I'm working on. These units form the core of the Dwaven Army. I do have ideas and sketches for more units, Cannons, Berserkers, etc. I always appreciate comments and critiques. Once again, FANTASTIC start! Looks very good! I like the style of them. Will you have any armed with an arquebus type gun? Very, very exciting... Great work! Looking at the first infantry and ranger: cuting the axe and the sword may be a pain: the weapons maybe should be more far from the head... i like that pose, so what about raising it more, raising the shoulder and the whole arm? Yeeees!!! ;D you have just made my day good sir! 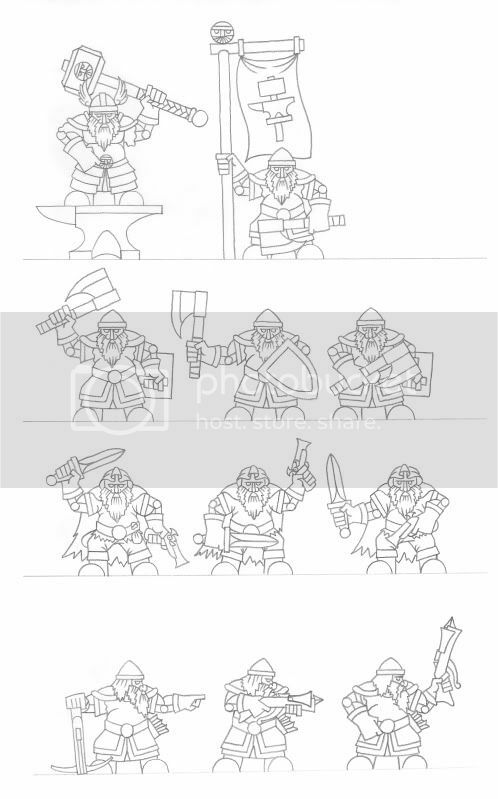 I really like the idea of the dwarf clan lord standing on an anvil - typical dwarven symbol - makes him really stand out among his troops, specially if you plan to make a unit of dwarves with two-handed warhammers. 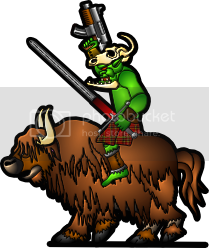 If you plan on doing the same (or equivalent) for all your army leaders, then you should modify your orc warlord to stand on top of a pile of skulls instead of only the one skull he currently has. I strongly suggest 2.5d crossbows like in Jim's skeletons. It would help distinguish from the suggested arquabus. Very cool figs. They look great, did I mention that? What I'd add to parduz' list is a... well, how to describe them, they hail from the discworld as far as I remember, wearing armor made from heavy leather plates, using flamethrower-like devices. They explode gas pockets in mines and are also considered a symbol for being a real dwarf, something like that. Anyway, I guess my point boils down that while you're at it, why not make some "normal" working dwarves? I could picture him grabbing the thing with one hand, and tossing it to the ground, jumping on it, and smacking the human hordes to the ground. I like the fact that he is standing on it because it makes him stand out... which he SHOULD. That is just my opinion, and feel free to ignore it, since most people do! When people see someone carrying a banner or standard, they don't say, "Shouldn't he be holding that differently?" They say, "Oh, it's the standard-bearer." These are, afterall, just to represent the figures in an army. If a figure has a smile, does that mean he only laughs and doesn't take battle seriously? If a figure has a smile, does that mean he only laughs and doesn't take battle seriously? That would be a sneer, then . You've got a point, though, too much realism can kill, especially with something as "real" as dwarves (or elves, or demons, or bunnies). Personally, I think the anvil makes the mini stationary, just like certain poses can give a mini a sense of direction or movement. I'd prefer a paper anvil to put the mini or an impressive clan leader on top of . I do have to agree with the above post that mentions the Dwarves being workmen. I could see some wearing a leather apron, and having a pot poker, or hammer, or something like that to show he is "master of the Forge." Hey... why not have a guy with a stove strapped on his back, and a billows attached to a hose with a nozzel on it... basically a Dwarven flame-thrower... I could see the guy with the leather apron, big mits, and goggles. Of course his beard would be white, but appear grey due to all of the soot in it. Oh... and Dwarves with pickaxes... good diggers, ya'know. But wouldn't a Dwarven Gold Digger be one of those elusive Female Dwarves with a bare midriff trying to attract the attention of some Dwarven craftmaster or guildmaster so she could marry him for his treasure? Love how these are looking. Actually, in the game I run Dwarven women are not bearded, but by tradition are also not allowed to be seen by outsiders. Those female Dwarves that have been curious enough to want to see outsiders do so in disguise as Dwarven men, wearing false beards. On my game world this has led to both the rumor that there are no Dwarven women, and the rumor that Dwarven women do exist, but have beards and are hard to tell from Dwarven men. Too much proximity and .... "risks" . A punch on each own chest is an appropriate way to greeting. Yes, I agree with Parduz. Another little known fact that the ancient Dwarven word for "Greetings" was pronounced "Goway" in certain dialects. This simple misunderstanding sparked MANY a war when the unknowing Dwarves would offer greetings to visitors that would inturn attack them! (Ok, I made that up, but it's funny, and thought-provoking). (Ok, I made that up, but it's funny, and thought-provoking). It's a good one, I reserve the right to steal it for my upcoming campaig . languages are something hardly ever used to their full potential, for various reasons, in rps. Well, I only speak English, but feel free to use ANY similar version of it! Dominic: I used that once, and the party was trying to offer goods to enter the walls of the city, and they were offering up gold and all kinds of stuff. Back on topic: These are great, but we haven't had any updates lately. Where do these stand (and I DON'T mean on anvils). I'd use the basic method and apply it to other (player) languages. For german, for example, I'd use a shortend form of "Verschwinde", which is one possibly translation for "Go away". I'd then change it a bit to "V'schwind" or something, and I'll know how to pronounce it to make it sound close enough to the intended word. In other roleplays (forum based) my family has taken to use mundane words for alien names (it's a Star Wars rp). All the NPCs on one planet were named after car brands, for example (like "Tshefroled"), and once you get the hand of it, it's fairly easy to cloud a word so that unsuspecting readers don't notice. Then again, sometimes the other players don't notice either, but thats part of the fun .